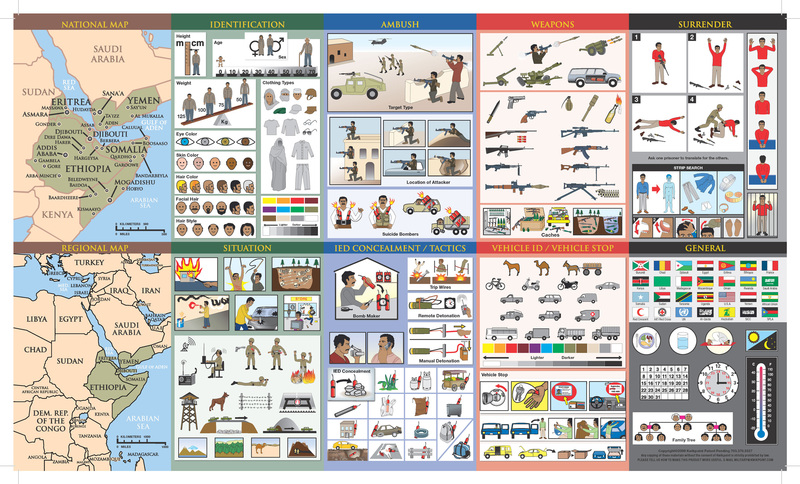 This Visual Language Survival Guide is designed for military personnel that will deploy to the Horn of Africa region. 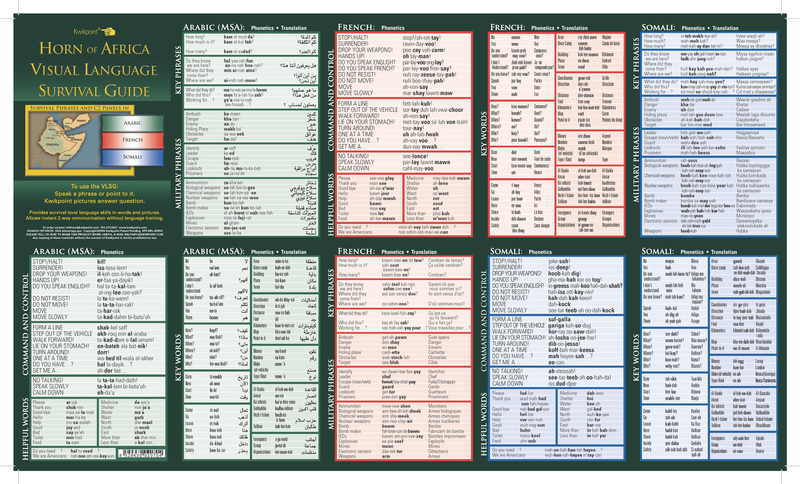 This Visual Language Survival Guide is designed for military personnel that will deploy to the Horn of Africa region. It contains visual language content for situations including: ambush, booby trap detection, basic communication, weapons identification and detainee search. The card also has essential words and phrases translated into Modern Standard Arabic, French, and Somali and written with phonetic spellings so that English speakers can achieve basic spoken communication.